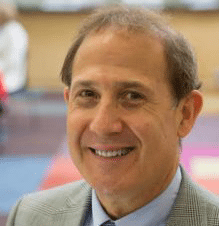 Dr. Brad Zebrack is Professor of Social Work and Member, University of Michigan Comprehensive Cancer Center, Division of Cancer Prevention and Control, Health Behaviors and Outcomes Research program. Dr. Zebrack has clinical social work experience in both pediatric and adult oncology, and has been an investigator on numerous research and training initiatives funded by the United States Department of Health and Human Services National Cancer Institute, the American Cancer Society, the Lymphoma Research Foundation, LiveStrong Foundation, and HopeLab, Inc.
Dr. Zebrack has clinical social work experience in both pediatric and adult oncology, and has been involved in the development of peer support/advocacy programs for adolescent and young adult cancer survivors. In 2017, Dr. Zebrack was awarded a Fulbright Scholarship for which he visited CanTeen Australia and collaborated with colleagues to develop and evaluate supportive care services for adolescents and young adults affected by cancer. Dr. Zebrack is a Fellow to the American Psychosocial Oncology Society (APOS) and the Society for Social Work and Research (SSWR). He is also a recipient of the APOS Outstanding Education and Training Award (2014) and the Oncology Social Work Research Award from the Association of Oncology Social Work (2002). Dr. Zebrack is a long-term survivor of Hodgkin’s lymphoma, diagnosed in 1985 at the age of 25. In 1989, he and his wife Joanne completed a one-year 11,000 mile bicycle trip around the perimeter of the United States to promote cancer survivorship. Dr. Zebrack and his family, including his daughter Sierra Grace and cats Cal and Jaz, live in Ann Arbor, Michigan.